East Finchley N2 most exclusive Personal Training Gym. 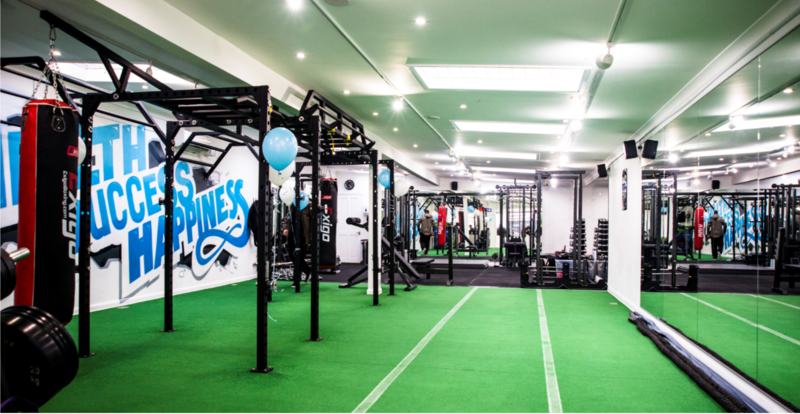 We are an exclusive, dynamic and stylish personal training gym environment filled with state of the art fitness gym equipment where you can work with the accredited best Personal Trainers in East Finchley, Finchley and Muswell Hill London N2 to achieve all of your health, fitness and well being goals. Whether it is weight loss, toning, weightlifting or general fitness. Our unique training systems which guarantee amazing results are designed to make every session fun, energetic and rewarding in a short space of time. We offer one on one personal training packages or affordable group personal training classes with a health coach in small private groups. Our personal training gym floor and class programs are designed like a training playground! 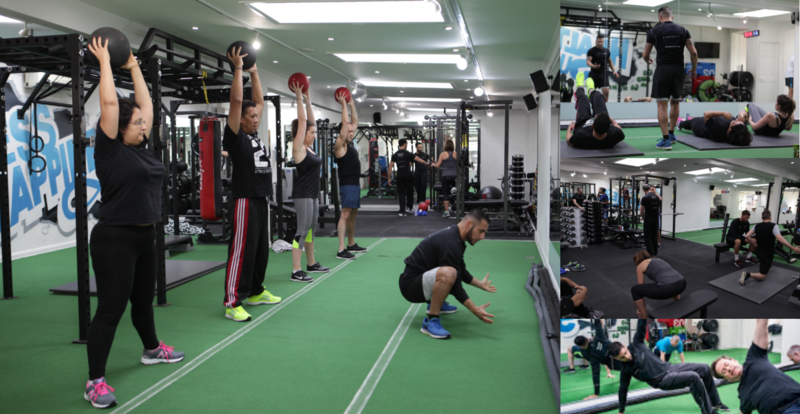 Book in now for a free training session.The MighteeFit team of Personal Trainers are driven to deliver results with each client they work with, helping you achieve your health, fitness and lifestyle goals. 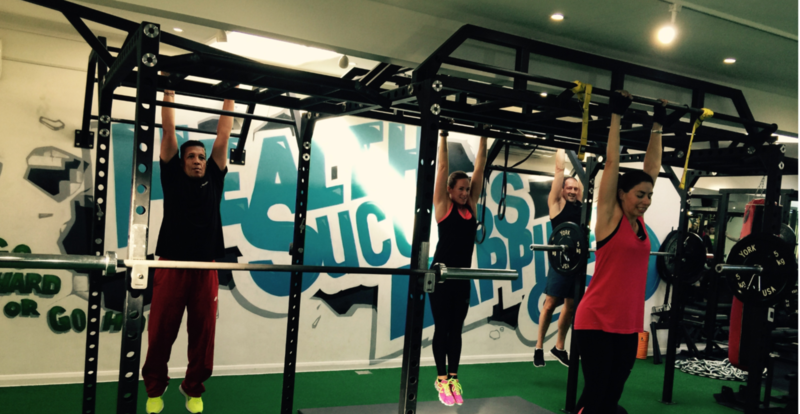 MIGHTEEFIT gym is so addictive and a fantastic place to get fit and in shape – it has such a great atmosphere and is super friendly, supportive and inclusive. Previously I’ve spent loads of money on joining gyms, attending classes of 20+ people and hating it as there’s no personal attention and the class is overcrowded. So I would stop going and would pay money each month for a gym I didn’t use. Not anymore!!! I’m 3 months in at MIGHTEEFIT and really love the small group sessions where you get individual attention and support. The range of classes on offer are all great no matter what your fitness level. You work really hard – there’s no place to hide especially in Tee’s Hurricane!! All the trainers are terrific and really push you to make sure you achieve the most out of the session. I now hate missing a class through work or holiday as I enjoy going so much and catching up with the new friends I’ve made. MIGHTEEFIT has definitely turned me into a gym bunny!! I've been a member at Mightee Fit for almost 3 years. I've always been an active person but joined Mightee Fit because I wanted to be pushed that bit further and learn how to use weights and my own body weight correctly to tone up. Over the years not only have I achieved my goals but I've made some great friends along the way. The classes are small and intimate and in no way intimidating, everyone is made to feel very welcoming. I was even able to train pretty much all the way during my pregnancy thanks to all the trainers who were able to adapt things for me. This defiantly helped me to stay fit and healthy during my pregnancy and helped me to snap back into shape relatively quickly post birth. My husband also joined and he loves it just as much. Thank you Mightee Fit! I LOVE IT. Really friendly and welcoming atmosphere, not intimidating in the least bit. I went in expecting to maybe have a few sessions to pick up some pointers, and instead I have increased my visits and am now thinking I may have found a new passion. I sincerely feel like I have the BEST trainer I could've hoped for - for me anyway. But even just from observing others when I'm there, they all seem to really care about their clients. I personally don't feel like I'm someone to get in and out the door for £££. I honestly didn't expect to enjoy it as much as I do - if at all - I feel incredibly lucky and thankful for whatever guided me there. If I could give them a gazillion stars I would. I highly recommend them. I have a severe back and hip condition and had never exercised in my life. Tee came highly recommend to help me get some mobility back. With patience, sweat and a few tears, my legs and strength are where I never dreamed possible and still improving. Three year down the line I still love it. This place has changed my life. Staff and clients are welcoming and friendly. Great fitness studio! I've used these guys in their old premises and also from since they moved to this new site. All the trainers are super friendly and great people to train with. Highly recommend. Set your goals and they will work with you to achieve them. TRY OUR NEW CARDIO CONDITIOING SUPER FAST FAT BURNING SYSTEM! Type the characters in the above box.